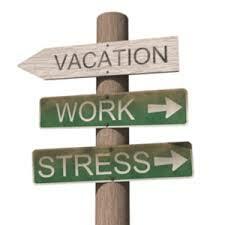 Here’s a tip you’ll love for improving personal productivity: take more time off if you want to do more business! To really maintain top performance it IS important that you plan the time to re-charge. Sprinters cannot maintain peak performance by continually sprinting: rest and recovery is an essential part of peak performance. It is the same for any athlete…it is the same for any business person where there is a requirement for intense concentration and sustained mental application. You need to rest your mind sometimes, and give yourself a chance to recharge if you want to maintain peak performance. Think of your year ahead as a series of sprints where you get an explosive start, hit top speed very quickly, and then sustain it for a relatively short period of time….then rest before doing it again. In this quick video we discuss how to plan your year ahead to achieve precisely that, and ensure you give yourself the best chance of sustainable peak performance without killing yourself along the way!